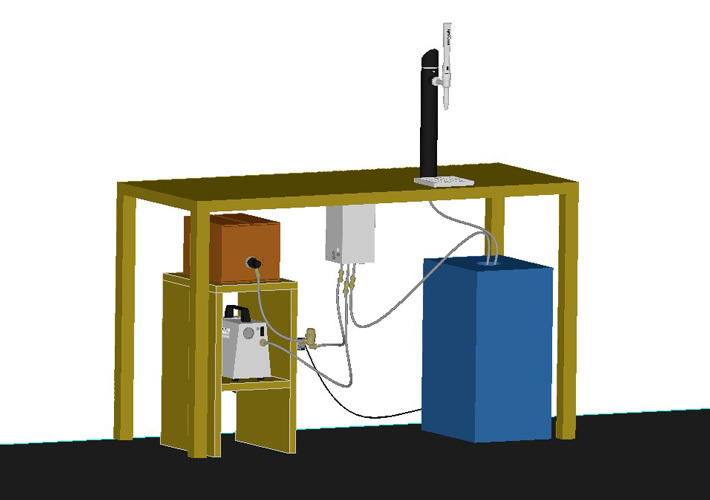 The dispense line integration offers a solution for existing installations with a given cooling infrastructure. As well if only a dispense tower instead of a Nitro-Dispenser is preferred. The coffee is pumped from an unpressurized container and pushed through the rest of the pipework under pressure. Compressed air or nitrogen with a pressure of 2.5 bar is used as nitro gas. The gas is added in the nitro box but the gas/coffee blending takes place in the jet nozzle spout. 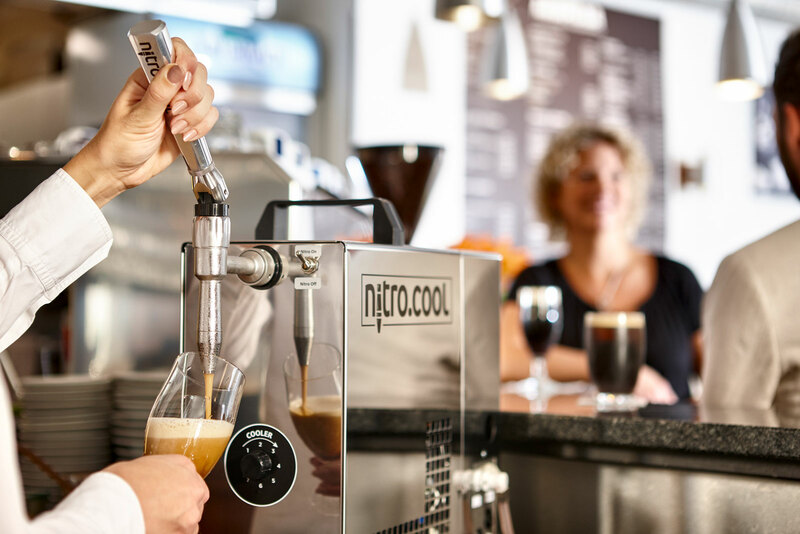 The spout can be used with existing stout taps. Coffee in bag-in-box or canister. Unpressurized containers are preferred but kegs are also possible. This is placed in front of the cooler or in the refrigerated counter/fridge. An optional pre-mixer placed after the cooler. Only necessary for very long installations with long distances (up from 5 meters) between Nitro-box and tap. Here the final blending of the gas with the coffee takes place.